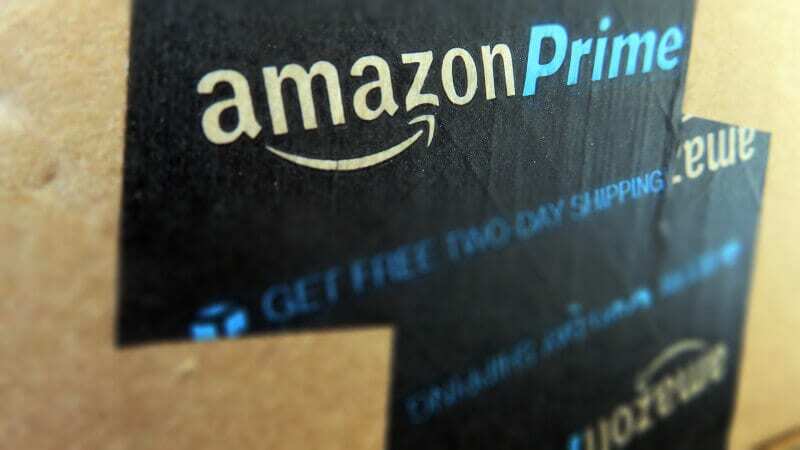 In spite of the ongoing glitches Amazon shoppers experienced during this week’s Prime Day event, Amazon reports this year’s Prime Day was its biggest shopping day ever. The company sold more than 100 million products globally, with over 5 million items sold in each of the following categories: toys, beauty products, PCs and computer accessories, apparel and kitchen products. In addition to bringing in more sales than ever before, the first nine hours of the event on July 16 brought in more Prime members than any other day in Amazon’s history. This was Amazon’s fourth annual Prime Day sales event. The company doesn’t release specific revenue figures for the day but did say that this year’s sales surpassed not only last year’s Prime Day sales, but its Black Friday and Cyber Monday sales as well. This year, Amazon extended the sales event from the 30-hour event it hosted in 2017 to 36 hours, lasting from 3:00 p.m. ET on July 16 all the way through midnight on July 17. “Extending Prime Day to a day and a half this year allowed us to further reward members with unbeatable deals, access to exclusive new products and unforgettable experiences that highlight the many benefits of a Prime membership,” says Jeff Wilke, CEO of Amazon’s worldwide consumer business. Prime Day best sellers worldwide were all Amazon devices — the Amazon Fire Stick, Alexa Voice Remote and the Echo Dot. (Each of these products was available 12 hours before the event’s official start, which helped boost sales of these Amazon devices). When looking at the best sellers by country, the US’s top sellers included an instant pot, a 23 and Me DNA test and the LifeStraw personal water filter. Amazon says SMBs that took part in Prime Day generated more than $1 billion in sales. Last year, Amazon wasn’t as forthcoming with its SMB Prime Day sales, claiming that “thousands” of SMBs generated over $50,000 during Prime Day. Depending on how many “thousands” reached $50,000, it does appear that this may be the first time SMBs crossed the $1 billion mark. “Prime Day 2018 has exceeded our expectations — sales are up more than 400 percent over a typical day. We’re excited to leverage the momentum as we move into the second half of 2018,” said the CEO of Simply Gum, one of the SMBs that participated in Prime Day. Three other SMBs — Vintage Book Co., Tegu and Bakblade — all reported 10 times the amount of sales compared to a normal day. According to Adobe, large retailers also experienced a significant increase in sales. Based on its Prime Day analytics data, retailers with more than a $1 billion in annual revenue saw a 54 percent lift in their Prime Day sales versus an average Tuesday. “Amazon’s site glitches didn’t negatively impact sales, with the company revealing sales were higher than ever. And photos of employees’ pups successfully mitigated some of the negative sentiment around the online retailer’s site difficulties,” says Adobe’s director of digital insights, Taylor Schreiner, referring to the landing page Amazon displayed during its Prime Day technical difficulties. The error page included a “Sorry, something went wrong” message along with a photo featuring one of the dogs of Amazon. Adobe reports the overall volume for social mentions around Amazon Prime Day was up 6 percent over last year, with a significant number of comments focused on the dog photos that showed up on Amazon’s error page. The “Dogs of Amazon” photos were so popular that #DogsofAmazon began trending on Twitter — turning what could have been a Prime Day nightmare into a PR win for the company. Amazon says this year’s Prime Day sales grew at a faster rate than last year, bringing in more sales during the first 10 hours than the first 10 hours of 2017’s Prime Day. The post Even with all the glitches, Prime Day 2018 proves to be Amazon’s biggest sales day ever appeared first on Marketing Land.